Customer loyalty is the lifeline of a successful business. Knowing that you have a sustainable stream of clients waiting for YOU is the holy grail of every business owner! A loyal customer can transform your business by creating repeat business, as well as spreading the word on how incredible your services and products are. Now, there is a lot that goes into creating customer loyalty, so we’ve divided this article into a three-part series: before, during, and after lash application. So, let’s talk about creating the perfect environment to foster customer loyalty as soon as your client steps into your salon. The staple of customer loyalty is outstanding customer service. A study found that three out of five Americans are willing to try a new brand for a better customer service experience. Not only that, but 70% of Americans are willing to spend over 10% more with companies that provide excellent customer service. So how do we apply those telling numbers to YOUR salon experience? Walk her through our step-by-step pre-application guide. At the first point of contact with your prospective clients, be ready to address common concerns as well as the dos and don’ts before each procedure. This comprehensive guide is an invaluable aid that assists you in preparing your clients for the first appointment. Ask her important questions about her allergies and sensitivities. Checking every item before beginning, ensures you are both well informed and on the same page. Share this information post-scheduling to ensure that she arrives fresh-faced and ready for her. Make your clients feel welcomed! Welcome every client by name with a smile as they walk through the door. Offer her a chilled water or beverage and a place to sit while she waits. Create an ambiance that makes her feel comfortable, but also speaks to the queen in her and transform your salon into a luxurious escape. Be sure to ask if there is anything else they may need before getting started. Give each client specialized attention and an unforgettable experience. Review her file before she arrives, so you don’t waste any precious time. Walk her through the creation process of her lash look for this visit and give her tips on how to maintain it. Listen to your client and create an effortless dialogue with her about her eye area, eyelashes, and even her skin. Pay close attention to any concerns or questions she may have throughout your discussion. If she expresses anything that is outside of your expertise, work to find the answer or solution. Preparing yourself and your salon is the first step to creating a lasting relationship with your clients. Make sure to subscribe to our blog to get part 2 of our journey to customer loyalty! 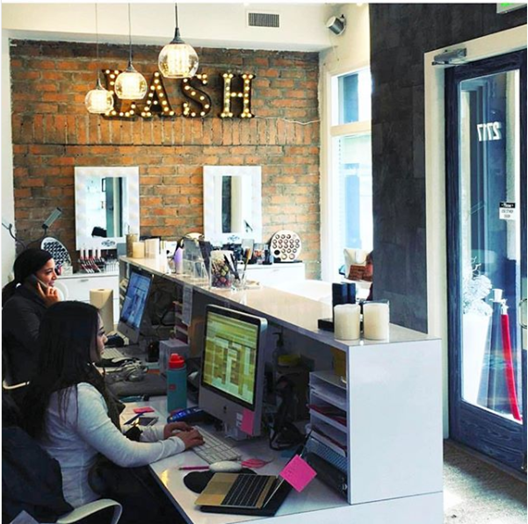 Photo: Make sure to check out Live Love Lash if you’re in the Denver, CO area!